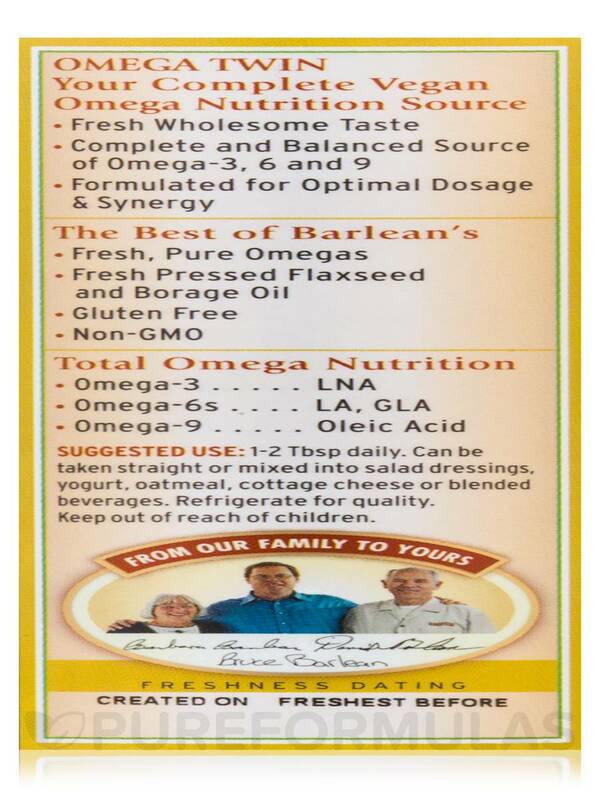 I have used Balance Omega Twin by Barleans Organic Oils for awhile now and will continue to re-order. 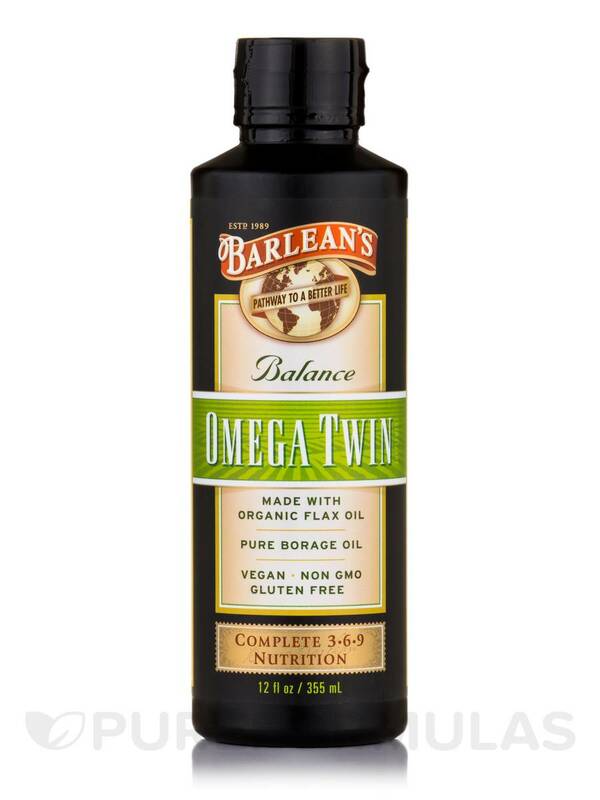 Balance Omega Twin from Barlean's Organic Oils contains Omega-3‚ 6 and 9 fatty acids along with vital flax lignans‚ which may promote overall wellness. This supplement contains essential fatty nutrition that may support several functions within the body. 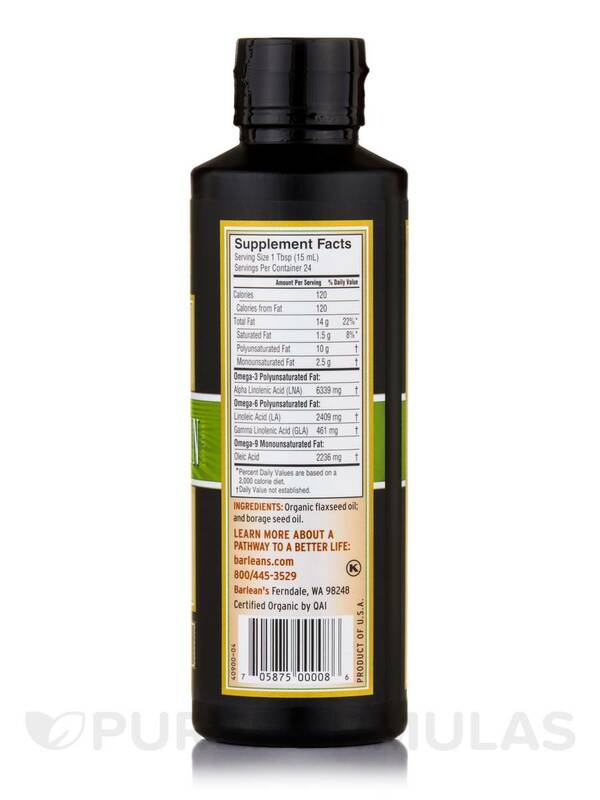 This dietary supplement from Barlean's Organic Oils may prove to be a vital source of omega-3‚ 6 and 9 fatty acids. 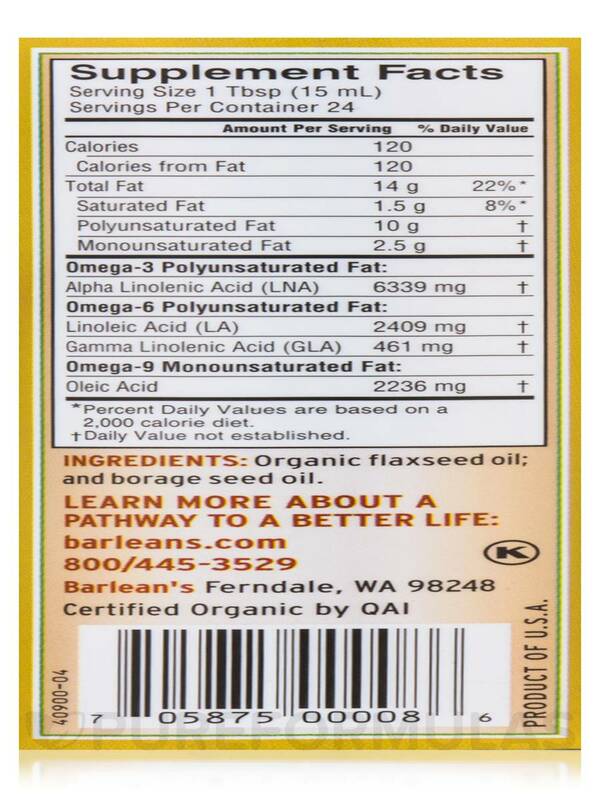 Flaxseed oil is considered to be rich in the omega-3 alpha-linolenic acid (LNA) and the omega-6 gamma-linolenic acid (GLA). LNA and GLA may help bolster the body's response to external irritants‚ pain‚ and tenderness. Reports indicate that GLA could potentially improve nerve health and joint function. The omega-9 fatty acids could bolster various facets of a heart healthy lifestyle. 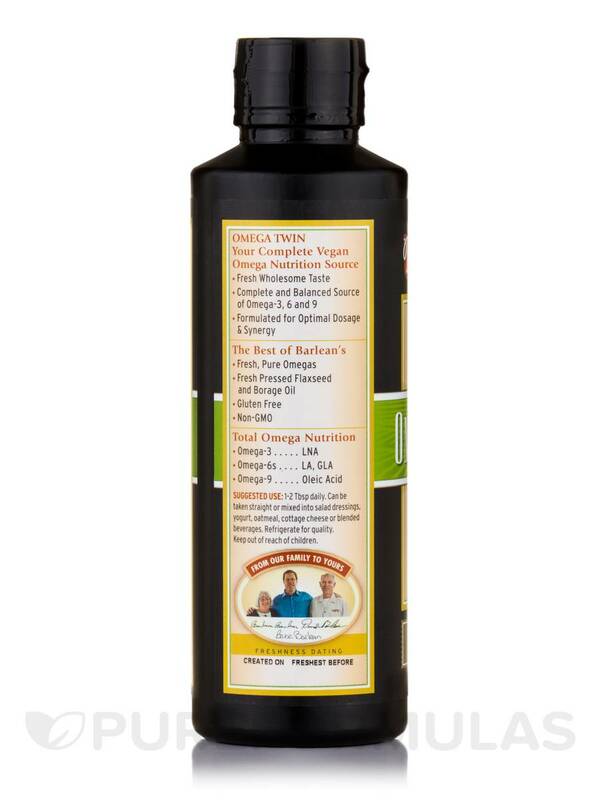 Nurture and nourish your body with Barlean’s Omega Twin. Each drop is pure and pristine‚ unrefined and unfiltered to bring you vibrant health and energy. This product is certified organic and may be consumed with a variety of meal options‚ including salad dressings‚ oatmeal‚ cottage cheese‚ and blended beverages. Try Balance Omega Twin from Barlean's Organic Oils from PureFormulas today!. Ingredients: Organic flaxseed oil; and borage seed oil. Vegan / Vegetarian / Non-GMO / Gluten-Free / Kosher. The taste is very mild and pleasant. I used to purchase BodyBio evening primrose oil which did wonders for my scalp. I switched to this as the EPO because too expensive. I havent used this consistently long enough to determine if it is a good substitute. It doesnt have a strong taste which also makes it attractive. Balance Omega Twin taste is great. I add it to my smoothie every morning! The taste is the best I have had. Perfect EFA oil blend. Balance Omega Twin has the ideal 3-6-9 ratio. If you arent used to taking EFAs start with a small amount and work up to recommended dose. You can pour on a salad or mix into a smoothie or like me take it straight from the bottle.